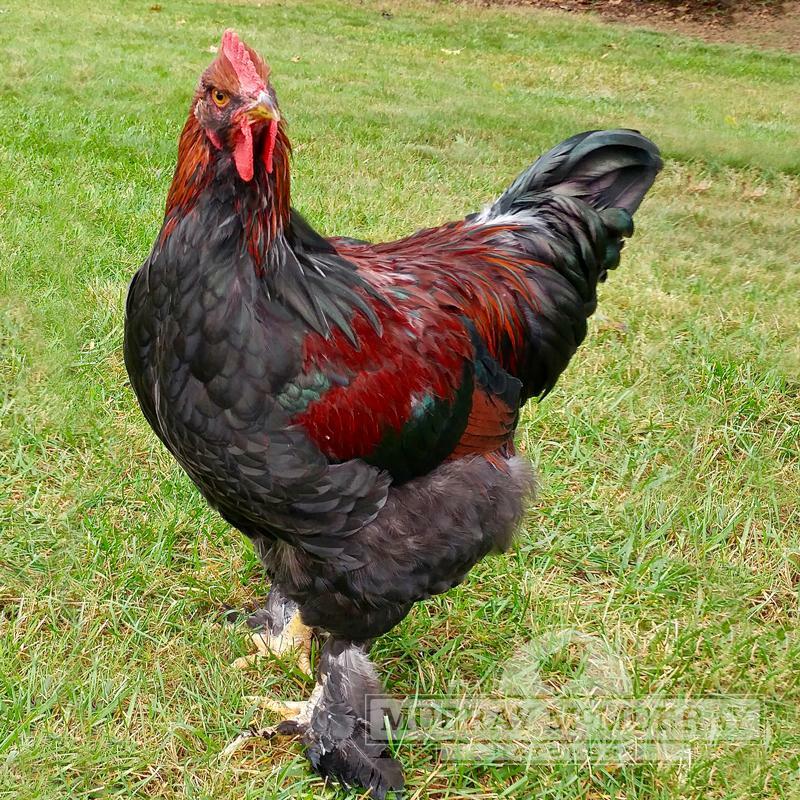 Partridge Cochin chickens are a gorgeously colored variety with typical Partridge coloring. Males have reddish-orange hackle and saddle feathers with black centers. Females have a typical Partridge pattern with dark reddish brown feathers penciled in black. 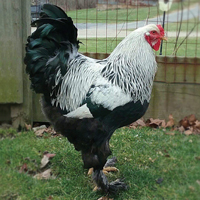 Cochin are an Asiatic breed, brought from China by clipper ships in the 1800s, and were highly-prized for their show qualities and as valuable setting hens. 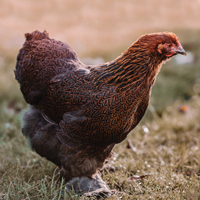 Cochin hens are good layers and extremely likely to set. 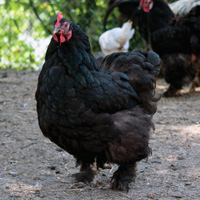 Cochins have an excellent disposition and are a good choice for families wanting backyard chickens. 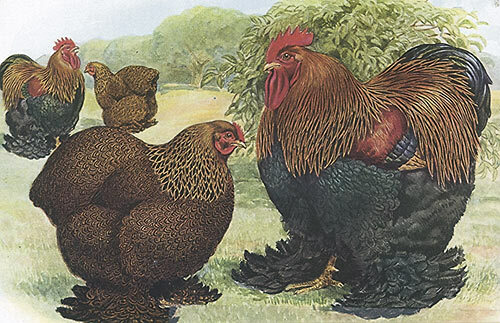 Finally a nice RoosterEvery time we get a rooster, it starts out ok, then they turn mean, to either us, or the chickens and then they quickly become dinner. 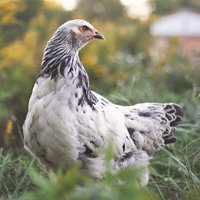 This time I got a Partridge cochin. He is so sweet, yet he protects his girls. He stands off the ramp at night until all his girls are in, then he goes in. 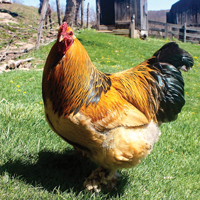 He is gentle with them, where we have had (HAD) other roosters that have actually torn the comb of our chickens so badly they had to get dubbed. 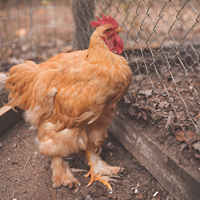 Then they would stay hidden in the coop so they wouldn't get attacked by them. 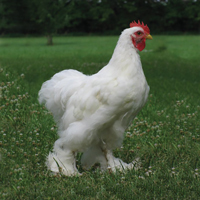 Frodo (our cochin) is a gentleman. 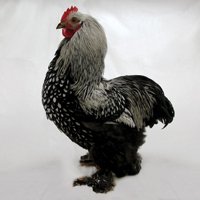 We Will never own another rooster unless it's a cochin. 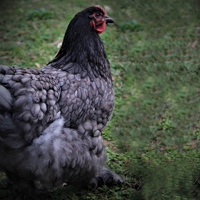 Our female cochin was very scared and stayed in the coop all day. My husband would pick her up and talk with her and cuddle her every day. Now she comes out, she stays right next to Frodo, but she's more outgoing now, just took a little extra attention. Both are beautiful and sweet birds. Partridge CochinsDon't know if I just got a bad batch of chicks or they were miss handled in shipment. 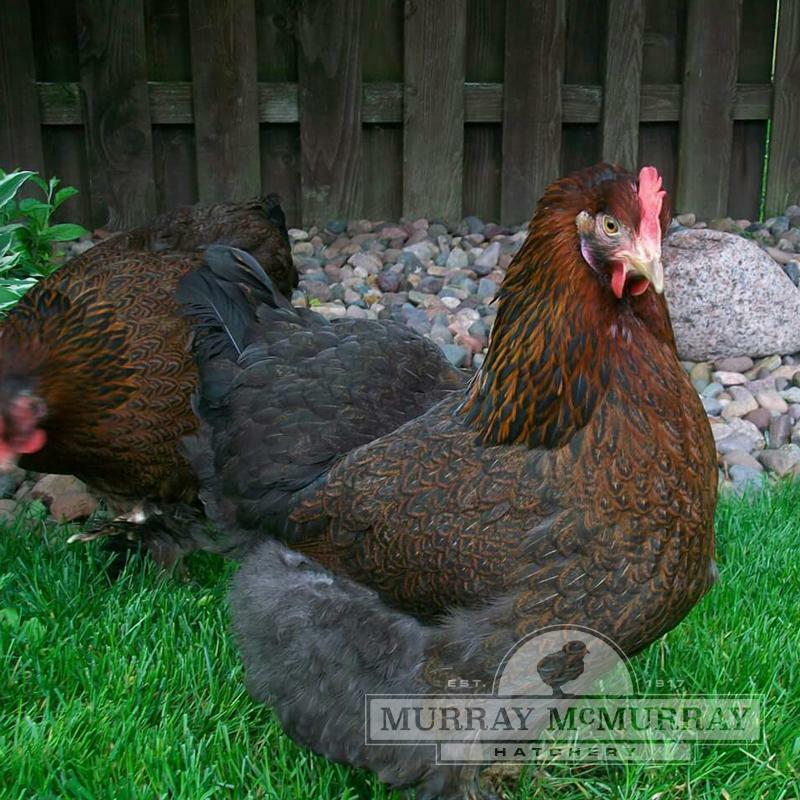 I ordered six Lost one upon arrival and within a day the other five wer soon to follow all the other breeds in my order arrived healthy and stayed healthy just not the Cochins my account was credited and I will still buy birds from mcmurray!